The long awaited widening of Highway 17 and bypass project around Pollocksville and Maysville is finally getting off the ground. We’ll talk about the plan and how it will impact these small eastern North Carolina communities. Highway 17 is a major link for eastern North Carolina. It connects military bases, the ports, and other economic engines of the region. 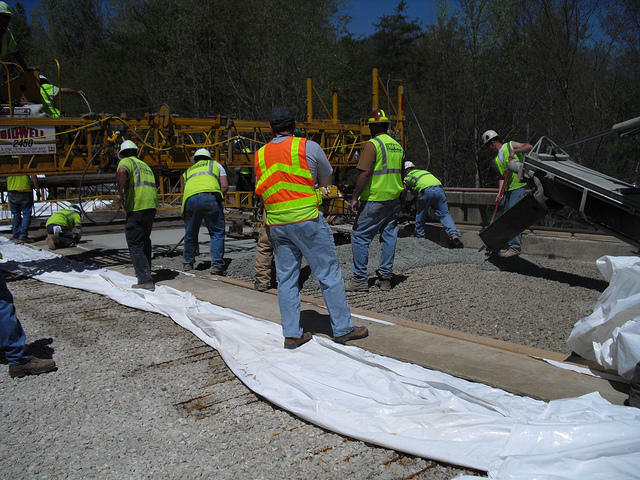 Improving the flow of traffic along Highway 17 from Jacksonville to New Bern has been a priority for the Department of Transportation for many years. And finally, progress is being made in fulfilling that goal. Executive Director of the Highway 17 Association Mark Finlayson says road projects planned for Jones County have been approved and will break ground in 2015. Finlayson says the project has been delayed again and again due to potential impacts to historic properties, wildlife species, and the environment. In August, NCDOT appropriated the final $56 million dollars to fully fund the project. The plan involves the construction of two bypasses around the towns of Maysville and Pollocksville and the widening of the stretch of existing highway between the two communities. Finlayson says the entire 12 to 14 mile projects will start simultaneously. When the project is completed, the entire Highway 17 corridor south of New Bern to the South Carolina state line will be 4-lanes. Mayor of Pollocksville Jay Bender believes the $225 million dollar project will have a positive economic impact on the small town. Mayor Bender says several companies have already contacted him with interest in setting up new businesses in the town. He believes an existing industrial area just north of Pollocksville will see benefit from the road projects too. While Bender is optimistic, some aren’t so happy with the plan. Ian Dyne is a store manager for Piggly Wiggly in Maysville. He says they’ll take a hit, especially during the summer months. Town Manager Johnathan Franklin agrees some of the local businesses will take a hit. But he says the bypass will give Maysville the chance to reclaim its main street. Franklin says he’s glad to hear the Department of Transportation will be widening a dangerous section of highway 17. The highway improvement doesn’t come without a cost. Brian Yamamoto is the head of the Department of Transportation’s Eastern Project Development and Environmental Analysis Branch. He says about 50 people will be displaced as a result of the widening project. Yamamoto says construction will start in 2015 and could be completed as early as 2018. 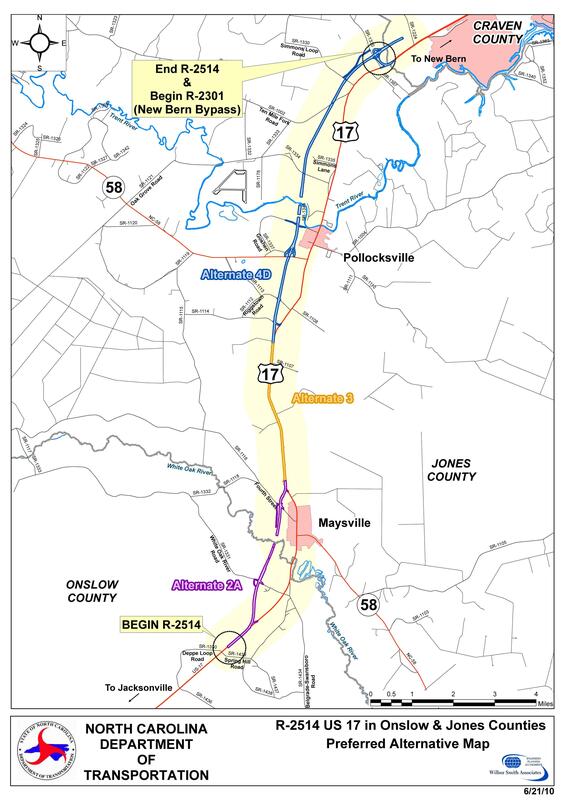 To see a map of the R-2514 bypass through Onslow and Jones Counties, go to our website, publicradioeast.org and click on this story. I’m Jared Brumbaugh.